Its that time of the year again where 2 teams have grinded through the weeks of madden the sweat, the hand aches, the button bashing that the controllers have received and it all comes down to this 1 game you both become the centre of attention to get that 1 prize!!! And oh boy it sure wasn’t a let-down!! With record audience on mixer from both streams at one point got up to 25 views!! Before kick off both teams showed there dominance as in why they should be where they are today. · Mahomes first year suiting up in a Bills uniform, making his first SB appearance of his career delivering 4153 yards 52 TDs for the season could this young stud come back to haunt Kansas? · WR Hopkins came 5th in the league with 1436 receiving yards and 13 TD – one of the best WR in the game today. · Statistically the Bills are the best team this year. Can they come out on top ? 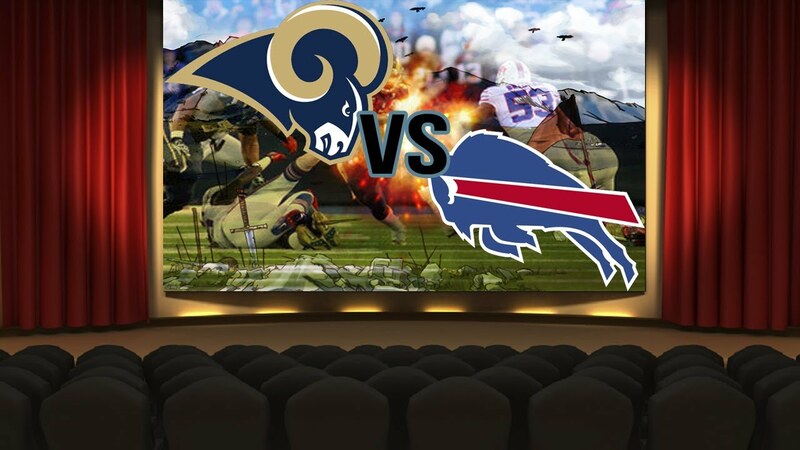 · Running back Gurley I think will be the man focus on this game – Rams should consider about getting him off early in the game and try to do what he has done all season and that is rack up the yards He led the league in yards and TDs with 1719 for 17. · The other key player for Los Angeles I think is RE Simon Chase the youngster has really showed what he is made of this year with 20 sacks and came be a real handful for Mahomes if he comes of that edge, they best have a back up play planed for him. Going into the 4th Quarter Bills threw 2 INTS 1 was pick 6 from Ebukam & Howard with the other INT which allowed the Rams to Draw the game 34 apiece. Rams driving down the field looking for the win 2mins 30sec left on the clock Goff looked in full control but seems like one of the WR missed is route and Edmunds picked the ball and this then led the Bills in great field position. MVP split between Edmunds & Howard but because was game winning INT I think Edmunds takes it. Stats don’t lie it was a cracking game – great performance but both teams congrats to you both.